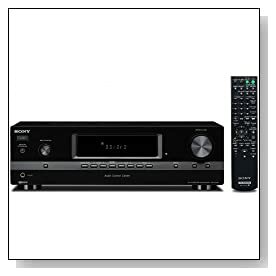 Most trusted brand Sony brings another cheap stereo receiver with decent specification. The 2 channel stereo receiver, Sony STRDH130 doesn’t have great features but considering the price, it is worth for buying. That said, the model is not missing any key features to offer good home theater experience. If you are looking for a low cost audio receiver with reliable performance, this model is for you. Let’s look at what our review team feels about this product. Sony STRDH130 has decent specification and good performance at unbelievable price. It is missing few features like HDMI input and output support. 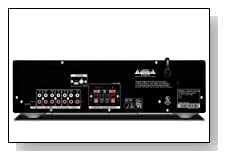 The 2 channel stereo receiver comes with decent 270 watts of total output power. For a small to medium sized living room, this output power is fairly good. Quality of audio quality was up to the mark and gave very good experience at different volume levels. Of course, it doesn’t give same experience as expensive 5.2 or 7.2 channel audio/video receivers, but it never disappoints the expectations from a low cost system. The output audio quality was reasonably good and enjoyable. At competitive price, this model also has few good features. Sony STRDH130 has built-in AM/FM tuner, you can preset up to 30 channels on each AM and FM stations. The signal reception and audio output quality of radio channels were very good. This model also supports audio playback from music players and smartphones. If you would like to listen music without disturbing others, here you go, the model has one analog stereo jack to support headphones. There are many low cost stereo receivers available today but very few of them are from reliable brands. Harris Poll Consumer Electronics Brand of the Year-2013 winner, Sony never compromised on quality and performance in this low cost receiver system. Our review team strongly recommends this model over other cheaper unbranded products. If money is not the main constraint for you, look at 7.2 channel AVR systems we reviewed earlier. If you have a lower budget buy Sony STRDH130, surely this good quality product will not disappoint your expectations.